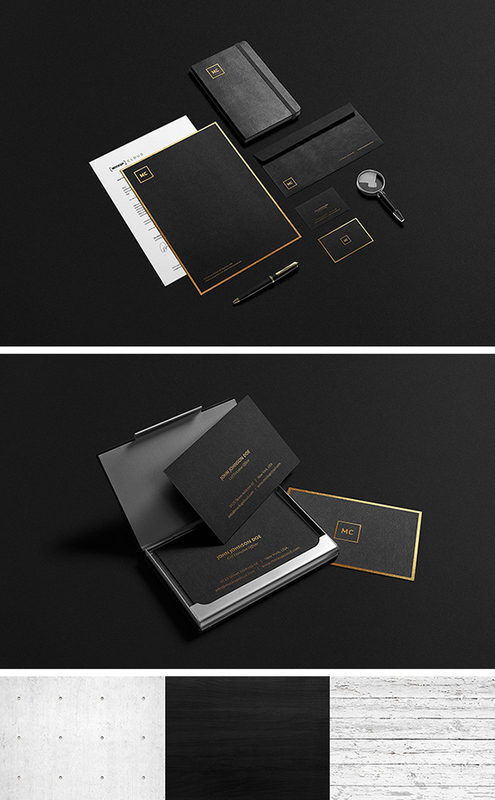 This is an elegant, black and gold stationery mock-up set including two scenes you can use to showcase your brand image. To get the refined look of your logo in gold or silver foil over black paper or leather, just place your design inside the smart layer. Apart form the PSD files, within the set, you’ll also find 4 high resolution background textures. The credit for this awesome resource goes to Mockup Cloud.